By special arrangement with Katharine T. Carter & Associates of New York, Gallery 363 at Leadership Memphis is pleased to present the artwork of Kaethe Kauffman. An opening reception will be held on Friday , December 27, from 6:00 – 8:30 pm. Kauffman, a practicing Buddhist, creates spiritual paintings, drawings, and prints that reflect her personal experiences of meditation. 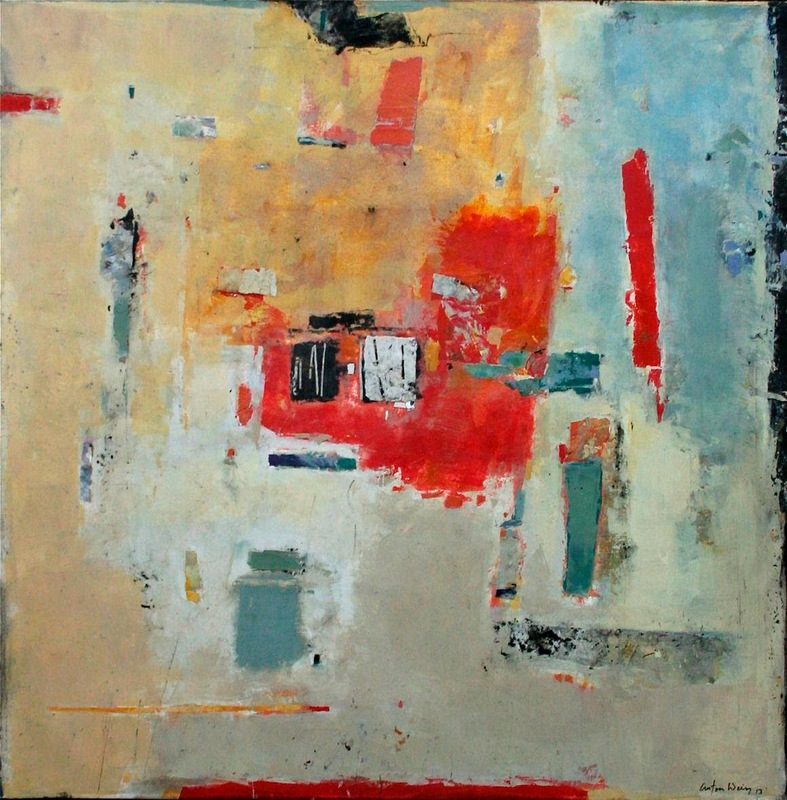 Kauffman’s paintings, drawings, and murals are in many private and corporate collections, and have been exhibited in New York, Los Angeles, Washington, Berkeley, San Francisco, Australia, and Europe. A portion of the proceeds from sales at this show will benefit Mid-South Spay & Neuter. The gallery at 363 S. Main is curated & managed by Allen Hall Projects. For appointments to view the artwork after the opening reception, call 452-8033. The core foundations of drawing will be emphasized in this class: line, perspective, composition, figure/ground relationships, shading techniques, tonal value, texture, and critical thinking. A variety of media will help students explore how drawing leads to personal expression. This class is perfect for the beginner as well as the experienced artist looking to revisit the basics of drawing. Children learn about formal art techniques, color relationships and art history through fun and imaginative projects. Drawing, painting, printmaking and sculpture will be explored. In this class, we will explore the basics of watercolor painting and the methods for achieving watercolor’s beautiful sparkle and vibrant color. 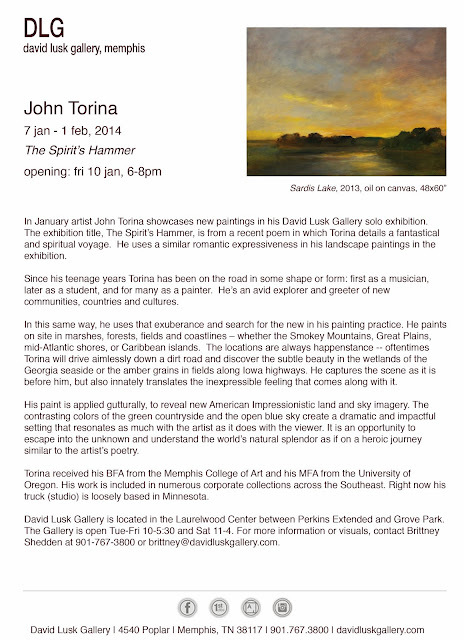 Discussion will include the history of watercolor, materials, painting techniques and color mixing. Demonstrations provide easy understanding of techniques such as washes, dry/wet brush, and glazing. The student will work with various projects in the classroom and will be encouraged to keep a sketchbook. Students will have an opportunity to exercise their creativity and explore mark making as a fundamental form of artistic expression. 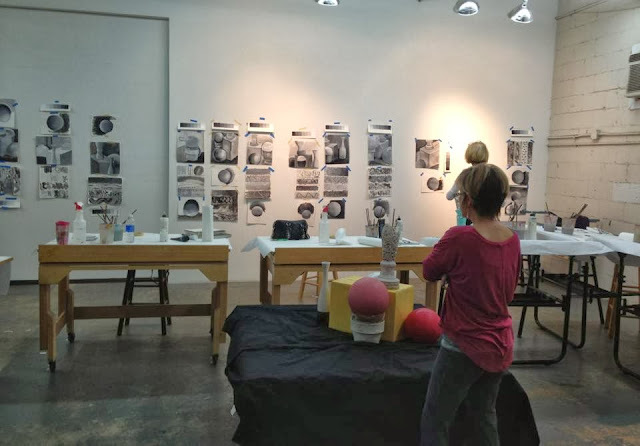 The class will focus on developing each student’s personal approach to making art, while learning to work with a broad range of mediums and experimenting with subject selection, spatial concerns and overall composition. Whether you use a film camera, digital camera, camera/phone, or tablet the problem to solve is the same, making pictures worth looking at. The computerized and automatic nature of today’s cameras takes the sting out of a lot of the technical and mechanical skills necessary to make compelling imagery. Now you can spend more creative time with the heart of the matter, you and the object of your desire. This class will use the figure as a springboard to explore color, composition, and different painting techniques. Each class starts with an hour of gesture and short pose drawings before moving into a longer pose. Some of the exercises in this class will focus on proportion, but the essence of the class is about finding an expressive way to interpret the model in the environment. We will be using charcoal, graphite, and acrylic paint. If the student wishes to work with another material please call the studio to make arrangements. 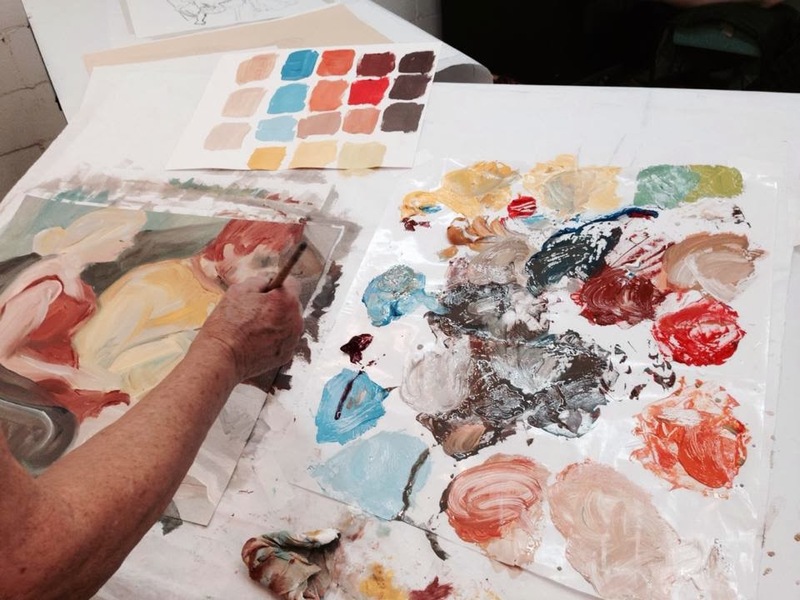 This class is an introduction to painting with oils on paper. We will explore painting from life and make paintings in one -sitting. Students will learn the basics of mixing colors and composition while learning how to “draw” with paint. You will be amazed at how much you can capture in each session! 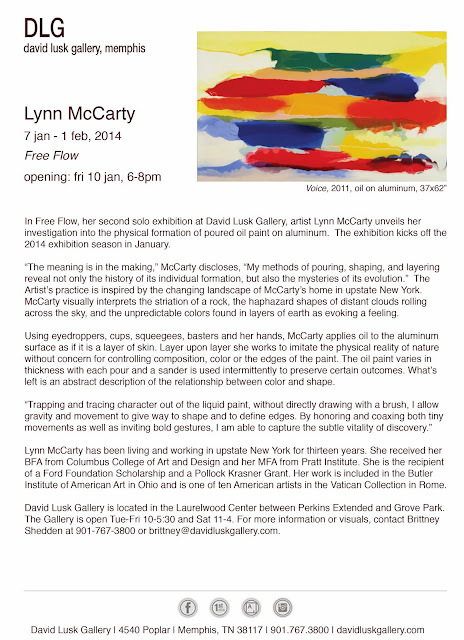 Please join Nancy at David Lusk Gallery as she discusses her current show, Arcadia. Memphis Heritage is excited to present a new selection of photographs from the Don Newman archive. Best known for his stunningly elegant streetscapes of downtown Memphis, this show displays a more varied selection of Newman's images. Photographing both on assignment and out of personal necessity, Don Newman applied the same clear-eyed description to all of his work. This concise edit on display at Crosstown Arts includes images ranging from a tableaux of diligent pressmen, to iconic depictions of both the Harlem House and the Sears building, to a man sensationally defying gravity in a jetpack. Working primarily with an 8"x10" view camera, Newman's photographs possess a methodical stillness that is indicative of working with a cumbersome tripod mounted camera. The big negatives that are a result of this camera also enable Newman's photographs to be enlarged to a monumental scale, while retaining a high degree of detail. Newman's dispassionate eye is the unifying form that binds these photographs together and imparts them their mysterious objectivity. 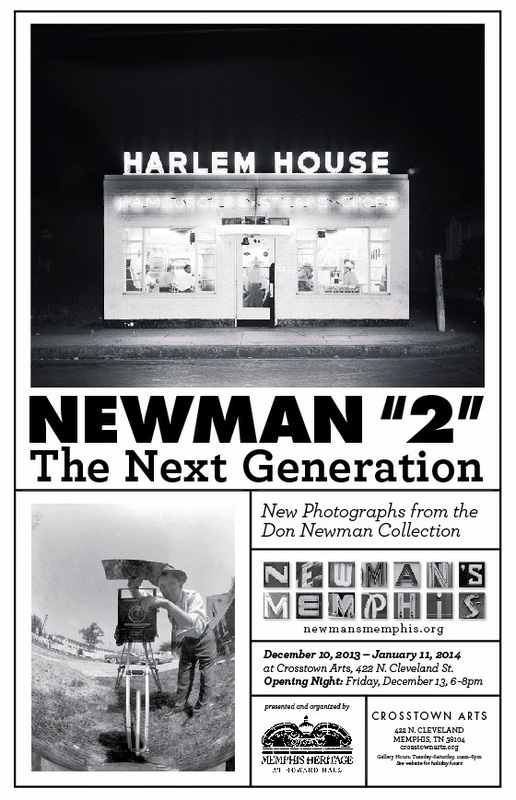 Don Newman's work is the result of being deeply curious about photography and Memphis. These photographs are an amazing gift that let us view an uncanny and often beautiful world that has largely vanished, but remains present in these vividly described pictures. 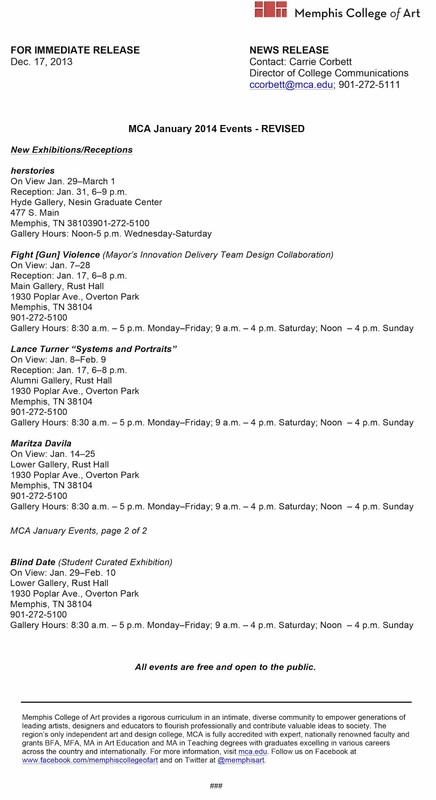 This exhibition is organized by Memphis Heritage. Don Newman was a native Memphian. Born in 1919, he graduated from Tech High School in 1937 and began working for commercial and industrial photograph George Haley shortly thereafter. In 1939 Don married Bertha Mae to whom he was wed until he passed away in 1994. Newman worked briefly as a photographer for the Memphis Engraving Company and then for Frank Hitchings who he eventually bought out with Jack Fury after Hitchings' retirement. Many of the photographs in the Newman archive were produced for assignments or jobs, but a large number were made to satisfy his personal curiosity and interests. "His work was all by hand, " Bertha Mae has said. "He took the pictures, developed the film, and did the printing himself. It was an interesting life and he liked that." Please check out local artist Meghan Vaziri's website. 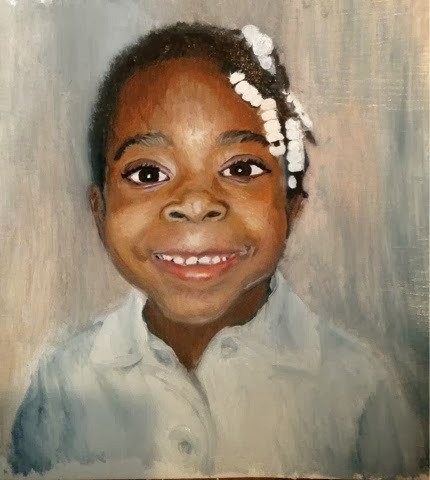 She may also be found on the Visual Memphis Artist page. 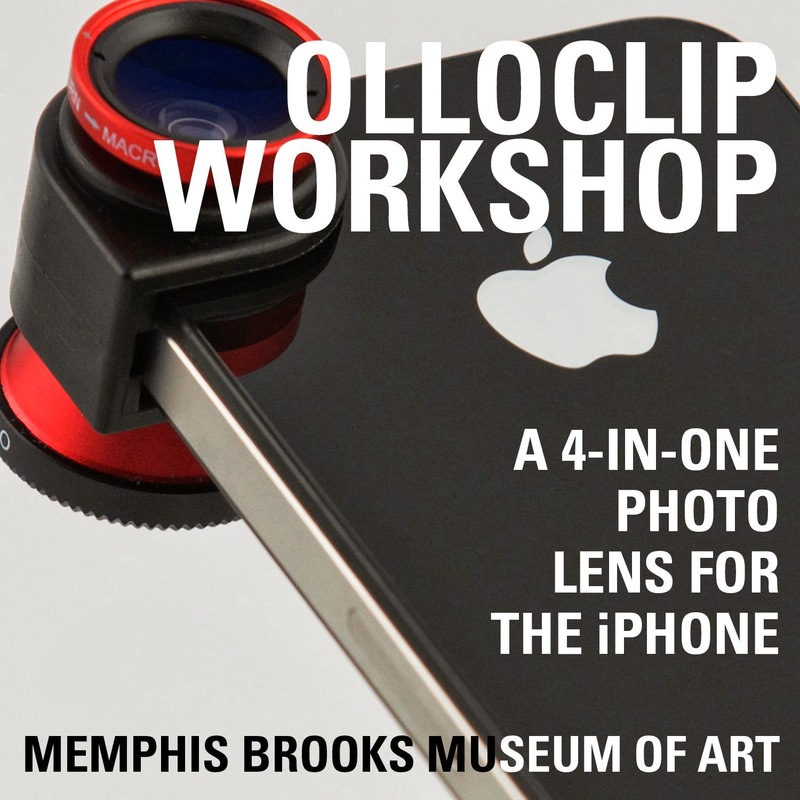 Olloclip: A 4-in-1 photo lens for the iPhone. The new Olloclip photo lens attaches to your iPhone and turns it into a high-functioning camera with 4 different lenses. The lens is compatible with the iPhone 4,5,5s and 5th generation iPod Touch. The workshop will highlight the Olloclip and how to use it most effectively. Includes an Olloclip. 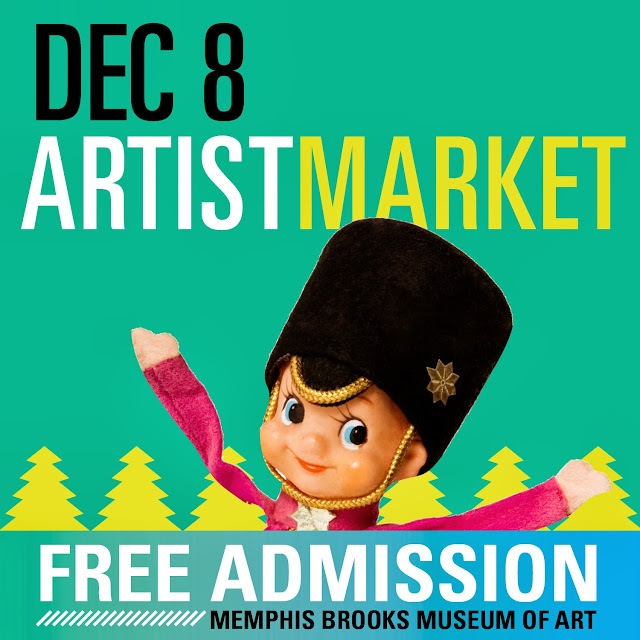 Come join us at the Brooks for the 2013 Holiday Artists Market! Shop from over 40 local and regional artists with free admission to the galleries and a cash bar all day. Every Artist Market purchase supports the Brooks. Featured artists include: Adam Farmer, Alex Paulus, Alex Warble, Amie Plumley, Annabelle Meacham, Andria Lisle, Angi Cooper, Apothecary Fairy, Brittney Boyd, Bryan Blankenship, Clyde Jones, Dale Crum, Darla Linerode-Henson, Dennis Paullus, Derrick Dent, Evan Lebaroff, Frances Cianciolo, Funlola Coker, Gwen English, Jason Gardner, Jeannie Tomlinson Saltmarsh, Jennie Helm, Jennifer Sargent, Kerri Mahoney, Kristine Harrington, Kristi Duckworth, Lester Jones, Manos de Madres, Maritza Davila, Mary Durham, Melissa Bridgman, Meredith Wilson, Michelle Duckworth, Mo's Bows, Nancy LaPlace, Nikkila Carroll, Phyllis Boger, Red Sari, Robert McCarroll, Sarah Terry, ShoveIt, Skintag Rags, Susan Senogles, Woodsley Projects, and Yuki Maguire. This event is free and open to the public. The Brushmark will be serving brunch from 11 am – 2 pm. We hope to see you here! Anton Weiss, Black and white Squares, acrylic on canvas, 46"x46"
Due to inclement weather, the opening for our Holiday Group Exhibition has been rescheduled for Friday, December 13, 6-8pm. 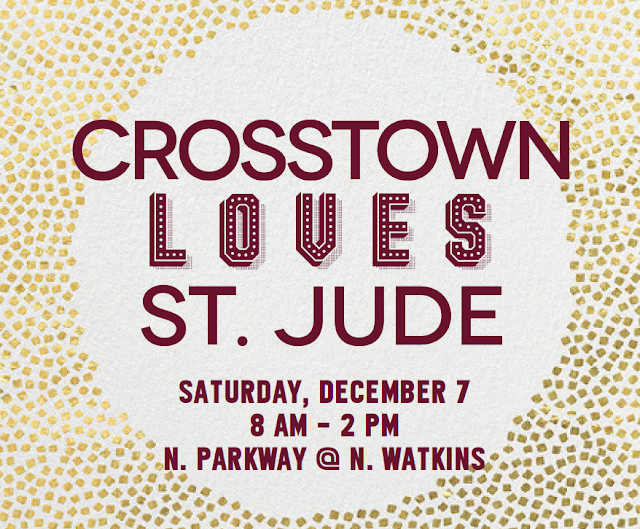 Join us to show your love for St. Jude and cheer on the St. Jude Marathon runners! Four students from Memphis College of Art have been named as finalists in the student division of NICHE magazine’s annual NICHE Awards. Glen Fiscus, Kalon Fowler and Amanda Nalley are nominated in the Metal (sculptural) category, while Nicole Cornacchione and Amanda Nalley are nominated in the Teapot category. All are students of Bill Price, assistant professor of Metals and Sculpture. NICHE magazine was founded with the idea of connecting art galleries and craft retailers with the finest crafts, handmade gifts and decorative art objects made in artist studios. The Awards program was started in 1989 as a way to recognize excellence and innovation in American and Canadian fine craft. Artists are recognized in professional and student divisions in categories including ceramics, fashion accessories, fiber, glass, home furnishings, jewelry, metal, mixed and miscellaneous media, recycled, teapots and wood. 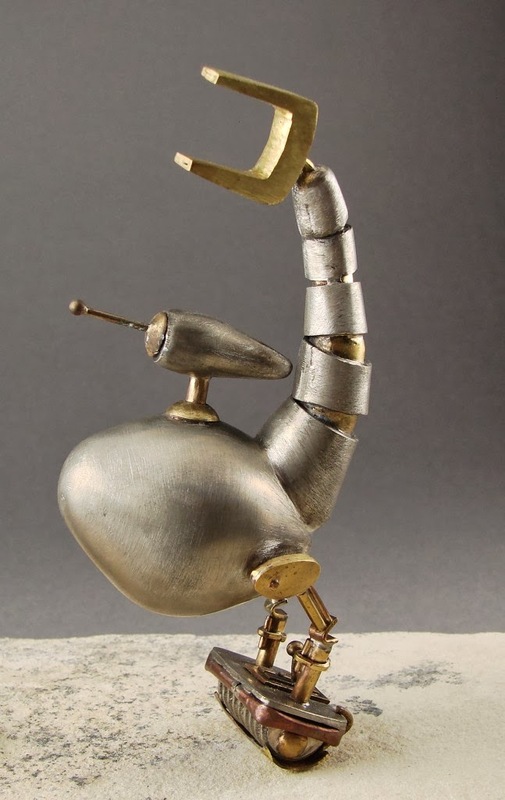 The awards ceremony is held each February at the Pennsylvania Convention Center in Philadelphia in conjunction with the Buyers Market of American Craft. The students’ work can currently be viewed on the NICHE website atwww.nicheawards.com. MEMPHIS, Tenn. — MCA Professor of Fine Arts Susan Maakestad was announced Monday as one of the recipients of the inaugural ArtsMemphis ArtsAccelerator Grant in a special reception in the Hyde Gallery of Memphis College of Art’s Nesin Graduate Center. The grant marks the first program for individual visual artists in ArtsMemphis’ fifty-year history. Under the program, each artist will receive $3,000 for individual projects. “I am thrilled to be named one of the recipients,” said Maakestad. “The timing couldn’t be better for me and my work.” Maakestad plans to use the funds to rent studio space at the Medicine Factory, a premiere studio space for professional artists in Memphis. The space there would allow for increased interaction with area artists and create the opportunity for Maakestad to participate in open studios, give students access to visit her studio and be easily accessible to visiting artists and curators. Additionally, Maakestad would have the ability to create large canvases, currently not an option in her home studio. “I have missed out on past public art opportunities in Tennessee and nationally because larger work was desired. I have been interested in the abstracted landscape as a subject for the past twenty-five years. 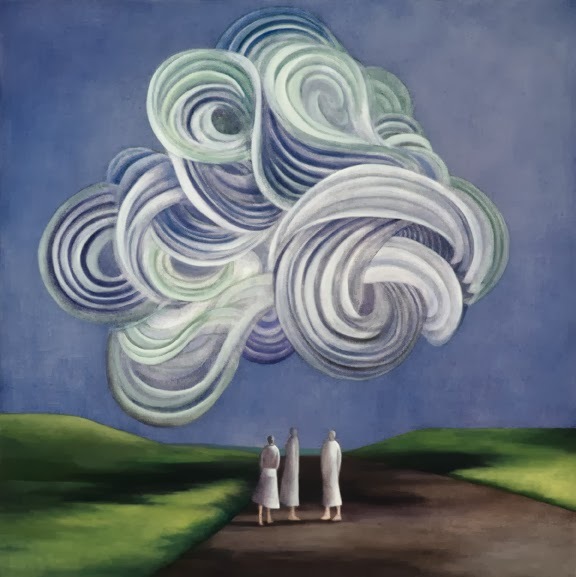 I am motivated now by a desire to scale up—the subject matter would not change; only the scale.” Maakestad hopes to create four to six new oil paintings during the nine-month grant period. 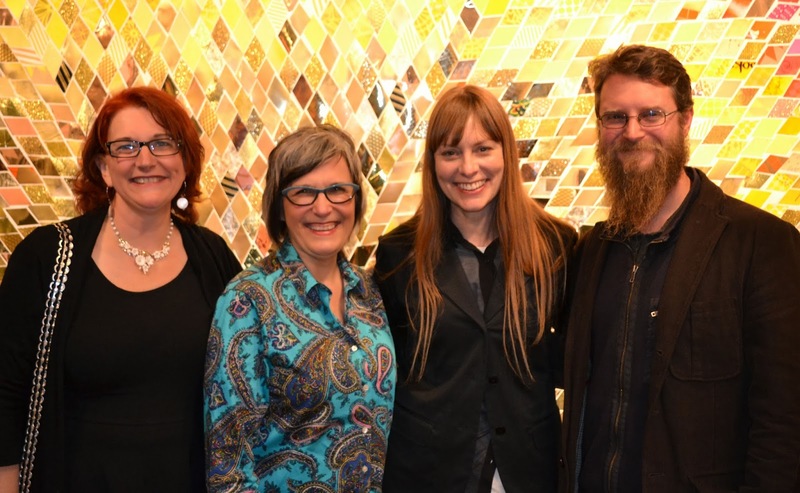 The other ArtsAccelerator grant recipients are Ben Butler, Mary Jo Karimnia, Brandon Marshall, and Terri Phillips. 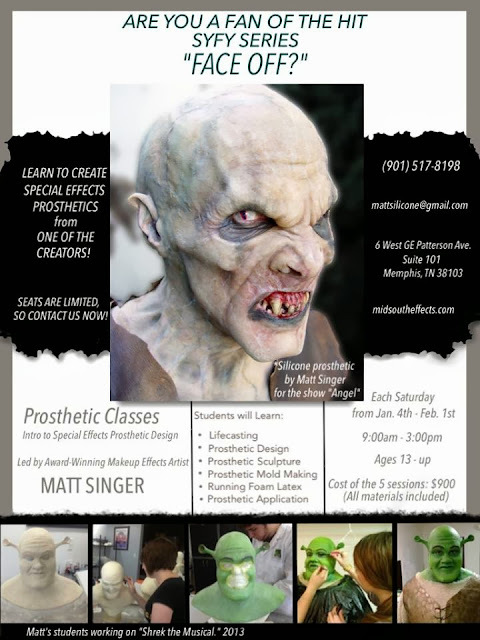 Additional information on this program can be found on the ArtsMemphis website, www.artsmemphis.org.